The Wellington and Grey Brand Development process is a personal and beautiful brand experience for your business. 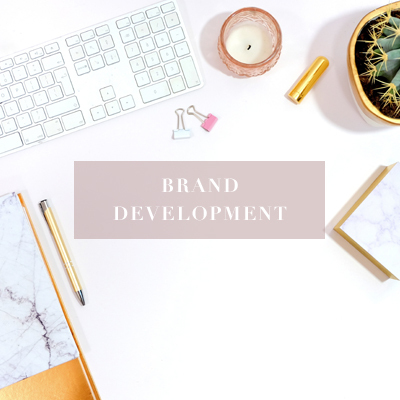 This package provides you with everything you need to create a strategic brand built for long term success, full of thoughtful details that reflect your personality and identity, allowing you to move confidently in the direction of your business goals and dreams. Packages include logo development, secondary and watermark logos, fonts, patterns and image selections, social media images, and website elements. Read more about the branding process below. I would love to get you and your business online! I will design a customized, fully functional website that seamlessly reflects your new branding, built with Wix. Wix-based sites are perfect for entrepreneurs and small businesses with 2-4 webpages. For WordPress-based sites, I will work with a web developer (or use yours) to design your website to reflect your beautiful new branding. WordPress sites are perfect for bloggers or for businesses requiring more complicated features, such as online booking. Please note that WordPress development, web hosting and domain purchasing are additional costs for the client. Please also note that I only offer website design to clients who have completed a brand development or brand refresh project with me. Your branding is in place, your website is live and you’re ready to promote your business through social media channels. 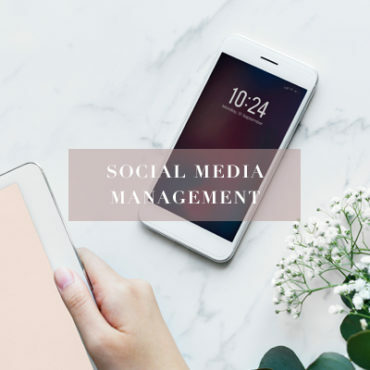 I create original, meaningful and engaging content for Instagram, Facebook and Pinterest that will inspire more likes, followers and ultimately more brand interaction and sales for you! I offer full packages of weekly posting and community management. I can also help you grow and manage your email lists, with thoughtful, curated newsletters to your dedicated subscribers. Contact me today to discuss! CONSULTATION PHASE. Let’s chat! After your initial inquiry, we can set up a phone call or meeting in person if you’re local, and chat all about your brand and what you’re looking for. I’ll ask you questions about your brand’s mission and vision, your target market and goals. We’ll also determine what design pieces you’re looking for (a complete branding package or a brand refresh, and other design pieces such as a flyer or business card). You can also ask me any questions you have about the design process. After we chat, I’ll send you a brand questionnaire for you to fill out. This will further help me understand the look and feel of your brand, and help me provide you with a detailed quote and proposal. After we meet, I’ll put together the Brand Development Proposal, which includes a schedule and quote. This is a detailed document stating everything that I’ll be providing for you, and when you can expect initial designs, final logo, all files, etc. If everything is approved by you, please sign the document, scan it, and send it back to me, keeping a copy for yourself as well. I’ll also be accepting a 25% deposit payment from you at this time, via email money transfer. INSPIRATION PHASE. Such an exciting time of the design process! Let’s both start pinning ideas on a detailed Pinterest board full of branding inspiration (colours, patterns, photos and other logos, designs and brands you love, and anything else you find inspiring). Next up, I’ll send you the mood board. The mood board will give you the colour palette, and examples of fonts, photos and textures for your brand, so you can imagine the look and feel of your brand. This is also a chance to make sure I’m on the right track and fully understand the look that you like! THE DESIGN PHASE. First I’ll be showing you 4 custom logo concepts for your review and for you to choose your favourite! You’ll also have the opportunity to perfect it with up to 3 revisions (if needed). Now that your logo has been finalized, I’ll put together a Final Brand Board so you can see the entire design coming together. This is your chance to see the look and feel of your brand, and your beautiful new logo in action! The brand board includes final logo, secondary logo variation, watermark logo, colour palette, fonts, Textures and/or patterns, and inspirational photos. I’ll also be designing other branding pieces at this time such as social media images: Facebook cover and profile photo, 3 Instagram posts. You’ll see my image selections: 3 high-res photos that reflect your new brand’s style. You’ll also receive website elements: social media icons, website banner design, web colours, and your logo for web. COMPLETION PHASE. At this point, I design all the other pieces that you requested in your quote (business cards, for example). I’ll send you a final invoice for the completed design work, and once payment has been received, I’ll be sending you a dropbox or WeTransfer link with all zipped, layered files in their applicable formats for web and print. WOOT! You’ve got yourself a beautiful new brand. Enjoy! If I’m designing your brand and you need ancillary products, such as business cards or brochures to complete your look, I can design these for you! Or perhaps you’re an established brand and you’re looking for the following products, let’s do it. Contact me for individual pricing on these items. I would love to get you and your business online! 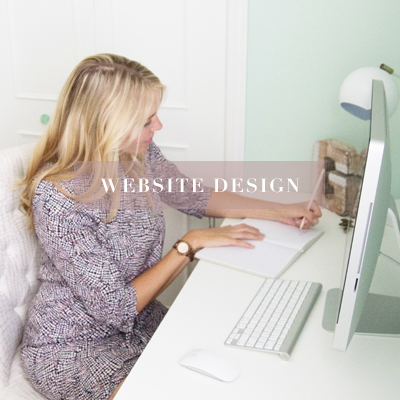 I will design a customized, beautiful website that seamlessly reflects your new branding, built with Wix. Wix-based sites are perfect for entrepreneurs and small businesses with 2-4 webpages. Note: Website design is only offered to clients who have completed a brand development or brand refresh project with me.